If you are giving employees slack or the benefit of the doubt along with some counseling regarding counterproductive behaviors, you’re probably missing the point that these behaviors are plaguing other employees, who are fully engaged and productive, to a degree exponentially greater than you are ever detecting. The rest of your workforce won’t give you points for being flexible or tolerant or caring when it comes to disengaged employees. They just think you don’t get it, or worse, don’t care. For every employee we were able to turn around or who needed time to fit in, there were many more who exacted too heavy a toll on those around them before moving on. Lesson #1, put your time and focus into your truly engaged employees. This includes protecting their work environment from co-workers who aren’t engaged. As I learned far too late in my career from a consultant named David Camner, “hire slow, fire fast.” That was after he dramatically transformed our selection process. My blind spot was probably that I had briefly worked in a couple of places where I wasn’t engaged and I’m as engaged as workers get. Unfortunately, what I took away from those experiences was a blind spot for leniency instead of, as I was in those two instances, that some people just aren’t the right fit for the pace and work they are doing and no amount of leniency or retraining will pay off. In the 1980s, when I was marketing Anchorage, Alaska, we won the bid over Salt Lake City as America’s choice to host the 1992 Winter Olympics. The games were eventually awarded to a non-US destination, Albertville, France. When I learned in 2002 that O.C. 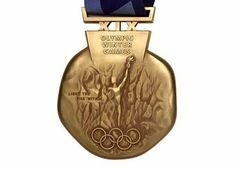 Tanner had designed the medals for the Winter Games when they were finally held in and around Salt Lake City, it struck me that we had denied the company’s founder, Obert Clark Tanner, the opportunity to see the Olympics in 1992, the year before he died at age 89. As a teen he had begun selling jewelry out of his trunk and founded O.C. Tanner while an undergraduate at the University of Utah. He kept the company going while earning a masters at Stanford and a law degree at Utah. Later confirmed by Forbes in a 360 survey, the skills include the ability to ask the right questions, to see the changes or improvements that would be loved by co-workers and customers, to explore solutions outside their team, to continually improve the mix by experimenting with ideas and persistence to see the work through to the desired result. Last year, O.C. Tanner published a study on the impact of performance recognition, which is summarized at this link in Slideshare. It is clear that recognition can accelerate drive and determination, increase organizational connection, enhance work relationships and personal understanding and improve organization-wide innovation. But it probably can’t light a fire in someone who is disengaged or worse actively disengaged and it has little effect if the employee won’t allow themselves to actually hear and accept the recognition when given, which is much more common than thought. Recognition can fuel engagement. It isn’t clear if it can create engagement or that it can reverse active disengagement. For example, moving from weak recognition to strong recognition makes only a 6 point difference in drive and determination. In my experience, no amount of recognition can turn work that is a bad fit into a good fit. Research by Dr. Carol Dweck has identified mindset in youth as a critical component to achievement. Her finding show that people have either a “fixed” mindset or a “growth” mindset, often instilled or cultivated by their parents. Praise alone can be tricky, especially if an employee has a fixed mindset. The praise must focus on the effort, not the results. Otherwise, those with a fixed mindset can respond even to success by getting stuck. Worse are leaders and managers who have a “fixed” mindset, categorizing themselves and others as either having what it takes or not. These individuals are particularly egotistical and become wedded to their goals and beliefs as though they were possessions. They are bullies at their worst, or manipulators at their best. They are the reason 50% of the U.S. workforce believes their senior leaders are not effective even though many of them are held in high esteem by officials or the news media. Counter intuitively, low turnover is also often an indicator of fixed vs. growth mindsets in leadership. A growth mindset focuses on “grow and go” because there often isn’t space to accommodate them. These fixed mindset leaders are unable to see alternatives or adapt to new information. They see the world in terms of winners or losers. Underlying the bravado of fixed mindset leaders is a desperation when it comes to facing uncertainty. Sometimes I realize just how much of my success has been luck or due to the growth mindset fostered by my genes. I now realize how little I knew and understood about leadership even though I was a CEO practically all of my career. I hope young people just starting out come to realize quickly just how much their success relies on intangibles.